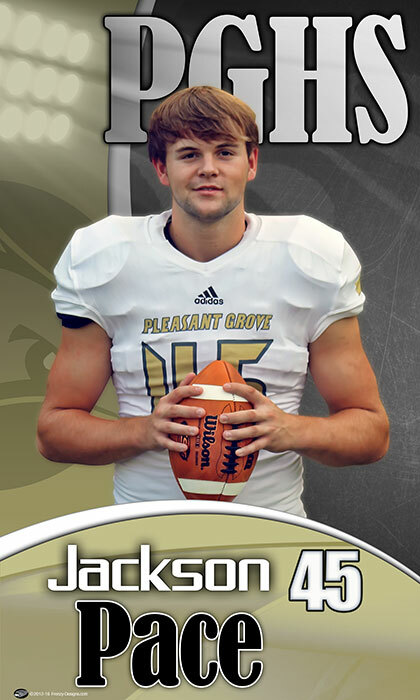 These 14 - 5' x 3' custom senior football banner designs feature a senior football player from Pleasant Grove High School in our Crescent Star Too design. It will also include a team slogan. It would look great in any players room, a family sports room, or any room in the house....but is actually made to hang in the gym or on a fence to showcase for the whole crowd to see.